I think it was the “squelch” that did it. I’d had many chocolate puddings by then, but I’d never had a chocolate pudding that squelched with each bite. It was a sensation so foreign, yet so pleasing that I knew I wanted it again. I didn’t realize that “squelch” was an actual word until I became an adult. I thought I had invented that word when I had that divine mousse and tried to describe it to my mother. The sound of that word fits the sensation of eating Perfect Chocolate Mousse…perfectly. The dictionary describes squelch as “a soft sucking sound made when pressure is applied to liquid or mud.” Unflattering, to say the least. Squelch is more like eating a soft, edible sponge and feeling the little air pockets pop with pressure from the tongue. You know…squelch. A mousse can be sweet or savory. (I’ve heard of salmon mousse, though I’ve yet to try one.) And most mousses have very few ingredients which makes them quick and easy to whip up (pardon the pun) on the spur of the moment. The only technique that requires a little practice is the art of folding. Who knew "foam" could taste so good? 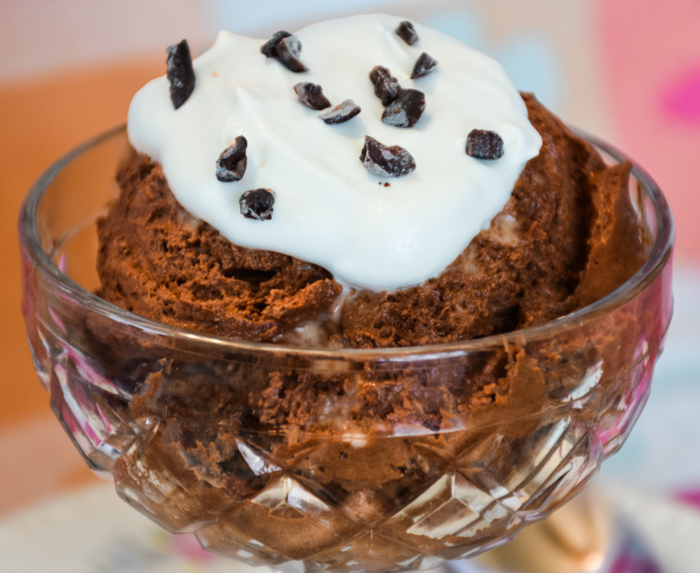 The word “mousse” is French for “foam.” And the definition of a mousse is “…a soft prepared food that incorporates air bubbles to give it a light and airy texture.” It’s those air bubbles that give a perfect mousse its squelch. Still looking for "The One..."
I’ve been trying for nearly 50 years to find The Perfect Chocolate Mousse, and it has become something of a mission. I'm still trying but will now share the results with you. Only the finalists will be included on this site, and perhaps you will consider one of them “The One” for you. Enjoy. One final note: chocolate mousse is the perfect vehicle for various flavors which are typically introduced with a liqueur. The sky’s the limit here – if it tastes good with chocolate, it’ll taste good in chocolate. Experiment to your heart’s content. In a clean bowl, beat the egg whites until soft peaks start to form. Add 2 Tbsp. of the sugar and beat until almost stiff (but not quite – peaks should barely tip over when beaters are lifted from meringue). In a third bowl, beat the cream until frothy. Ad the remaining 2 Tbsp. sugar and the coffee liqueur and continue beating until it holds soft peaks. Fold the egg whites into the cooled chocolate mixture until no white specks appear. Gently fold in the whipped cream, reserving ½ cup for garnish. Transfer to individual serving cups or a pretty glass bowl and refrigerate until well chilled. 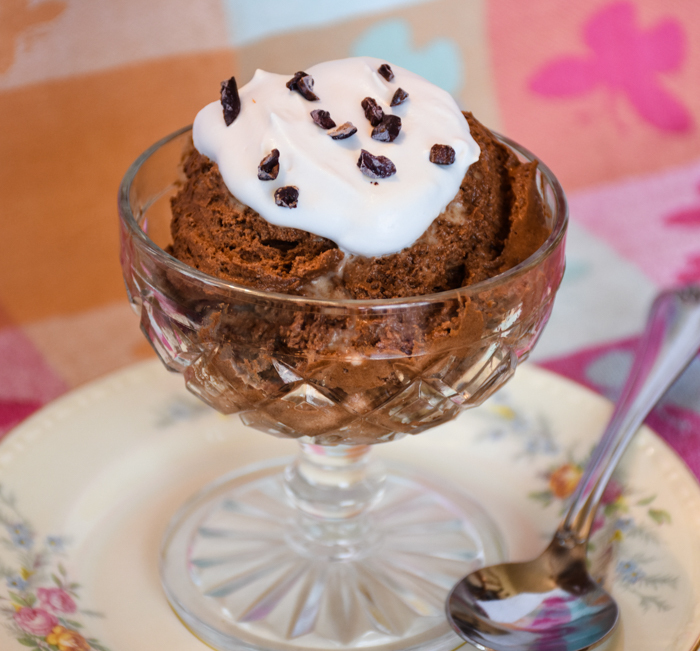 Serve with a dollop of the remaining whipped cream on top, and garnish with grated chocolate or chocolate nibs. While easy, this recipe uses several bowls. To cut down on the number used, use a large metal bowl set over (but not touching) simmering water as your double boiler. Then set the bowl with chocolate and butter mixture in a sink partially filled with ice water and stir the mixture constantly with the wooden spoon to cool it quickly. This trick saves on dishwashing! Because there is such a large proportion of chocolate to the rest of the ingredients, try to use the very best semi- or bittersweet chocolate that you can afford. The taste will be reflected in the quality of chocolate that is used.